Alchemy has a specific meaning in chemistry but, in a more general sense, it is the “process of transmuting a common substance, usually of little value, into a substance of great value.” This post will provide insight into how to turn records, seemingly of little value (i.e. those that do not explicitly state relationships), into genealogical breakthroughs. I have written several posts about William Bass (b. 1755), who was my ancestor and the first Bass documented in Camden County. Shortly after him, a “J Bass” appeared—just once—in the 1810 Federal Census. When my search was limited to online resources, “J Bass” was quite a mystery. I could not even find his first name until my first trip to the Camden County Register of Deeds. A search of the Camden County deed collection revealed that Joseph Bass purchased 6.20 acres from Mathias Etheridge on March 28, 1807. The land was located on Arenuse (a corruption of the name “Arrow Nose” which is now spelled Areneuse) Creek in the lower end of the county and was part of the tract that Demsey Etheridge purchased of Peter Mercer, Esquire. Joseph Bass’ neighbors were Demsey Etheridge, Peter Mercer, Esquire, William Pugh, and Thomas Ferrell and the deed was witnessed by Miriam Grandy and Malachi Forbes. In the 1810 Federal Census he, “J Bass,” was head of a free white household of 4 with 1 male 26-44 (born between 1766-1784), 1 female 16-25 (born between 1785-1794), 1 female under 10 (born after 1800), and 1 slave. Thomas and Sally Ferrell to Lurana Bass (Deed Book N, Page 309)—Note that Joseph Bass was named as a living adjoining land owner. Six years later, on February 2, 1813, a Lurana Bass bought 6.00 acres adjoining Joseph Bass’ land from Thomas and Sally Ferrell. The land was near Plummer’s Point and her neighbors were William Pugh, Peter Mercer, and Sylvanus Sawyer. Though there is no explicit information about Lurana’s relationship to Joseph, the fact that she was able to enter into this contract (under coverture) indicates that she was either an unmarried woman, “feme sole,” or a widow (i.e. not Joseph’s wife but perhaps his sister or daughter). After this deed, both Joseph and Lurana were absent in the Federal Census in Camden County for 1820 and 1830. The first major settlements in Camden County developed around four creeks flowing into the Pasquotank River—Joy’s Creek in the upper end of the county, Sawyer’s Creek in the middle of the county, and Raymond and Arenuse Creeks in the lower end of the county. On November 22, 1738 Samuel Laban Plumer and Catherine (his wife) obtained two 150-acre land grants at the mouth of Arenuse Creek which came to be referred to as “Plummer’s Point” in many subsequent deeds. In 1740 Plumer attempted to establish a ferry route from Arenuse Creek (in Lower Camden) to Newbegun Creek (in lower Pasquotank). Plumer’s ferry does not appear to have been a success but Arenuse Creek was a trade center, port of inspection for foreign imports, and was home to some of the wealthiest planters in the region. Lurana Bass’ neighbor Miriam Grandy was a renowned business woman in the area with six children—Matilda Lamb, Felix B. Grandy, Greenwill S. Grandy, Willis S. Grandy, Titus T. Grandy, and Thomas T. Grandy. In 1835 Miriam Grandy purchased all of the real estate of Alfred M. Gatlin, a local congressman, who moved to Arenuse Creek from Edenton (Chowan County, NC) due to its economic growth and access to transportation (Deed Book U, Page 461). The majority of Gatlin’s land was purchased from the Earle Plantation and the estates of Enoch Sawyer and William Pugh (suggesting that he was also a neighbor of both Joseph and Lurana Bass for a brief period). On December 17, 1836, Lurana Bass witnessed Miriam Grandy’s will which was executed by Miriam’s friend and neighbor, Cornelius G. Lamb. The following year Lurana Bass appeared in another deed on August 3, 1837 when she, along with George Fleetwood and Catherine Fleetwood, sold 12.20 acres to Henry Brite. This deed is crucial because it reveals that Lurana Bass was an heir of Joseph Bass (his 6.20 acres plus her adjoining 6.00 acres equaled the 12.20 acres in the land sale). The deed also demonstrates that Catherine was an heir of Joseph Bass (with George Fleetwood likely only being included in the deed due to coverture). This series of deeds is a perfect example of genealogical alchemy. Joseph Bass was only recorded once in the Federal Census for Camden County and Lurana Bass was never recorded there. Deeds and other seemingly minor records can reveal hidden family members and combine to establish important relationships. Where and when did Joseph Bass die? Did he leave a will? Was Lurana Bass his sister, daughter, or some other relation? Where did his slave go when his land went to Lurana Bass? How was Joseph related to the other Basses in Camden County? In my early research I assumed that Joseph Bass may have been the brother of William Bass (based on William having a brother named Joseph in Norfolk County). At this time, though they may be related, I no longer see this Joseph Bass (b. 1766-1784) as a likely brother of William Bass (b. 1755) due to the large age gap and geographic distance between them. Lurana Bass followed the Fleetwood family after selling her land. She was evident in George Fleetwood’s Perquimans County household in the 1840 Federal Census (1 female 40-49 matching Lurana, 1 female 20-29 matching Catherine, and 1 male 20-29 matching George). Lurana (b. 1785) remained in their household, likely as Catherine’s (b. 1815) mother and her childrens’ grandmother—who were all named in the 1850 Federal Census. 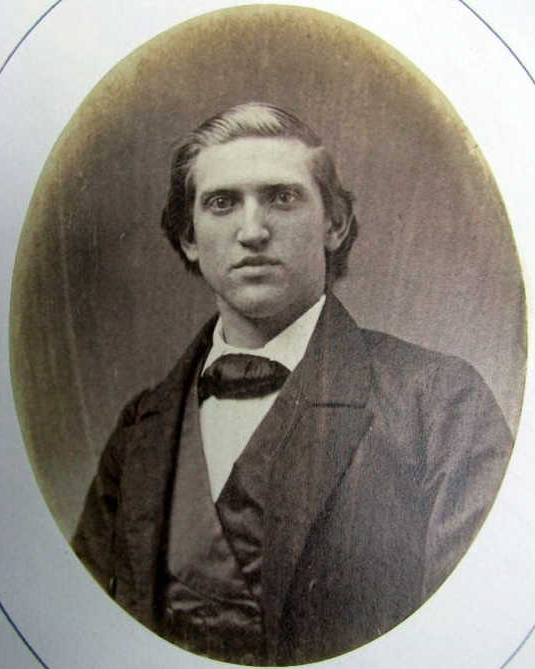 By 1860, both Lurana and Catherine were out of George Fleetwood’s household (he married a Harriet Burke in Chowan County on August 12, 1858) but their children—specifically, Sally A., Elisha and George—remained. This indicates that Lurana (who would have been in her 70s) and/or Catherine (who would have been in her 40s) probably passed away between 1850-1858. Based on these events we see that if Lurana Bass and Catherine Bass were Joseph Bass’ sole surviving heirs (based on their inheritance of his land), then Joseph Bass’ line of descent may have “daughtered out“—meaning that the Bass surname stopped with him due to the lack of a male (or unmarried female) descendant with children. George B. Fleetwood’s 17 September 1879 Will (Proved 12 May 1888) naming Sallie A. White, Mary Richardson, Elisha Fleetwood, and George M. Fleetwood as heirs. A number of questions remain but I now have a significant amount of information for a group of people who scarcely appeared in the Federal Censuses. I hope that this example is encouraging to other researchers who descend from people and areas with missing records. While collecting records for this article I stumbled upon countless family trees on Ancestry.com made by descendants of Catherine (Bass) Fleetwood who did not know her maiden name—which was hidden in a deed indexed under another name (her mother’s) a whole county away! Progress is always possible and, as I gain new information, I will provide updates on Joseph Bass (b. 1766-1784) to continue to integrate his family into the larger Bass story. 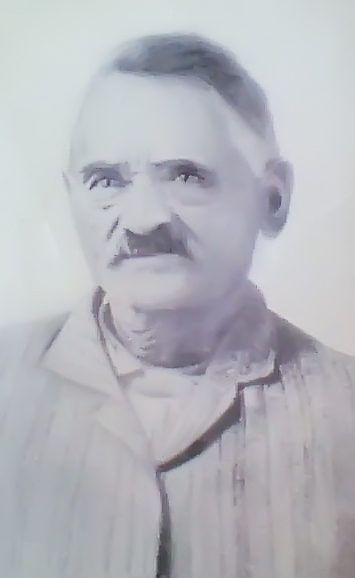 I am going to share your information with my cousin John Cannon whose grandmother was a descendant of Enoch Sawyer. The research that I have done has been to help him. Will you please contact me. Thanks!